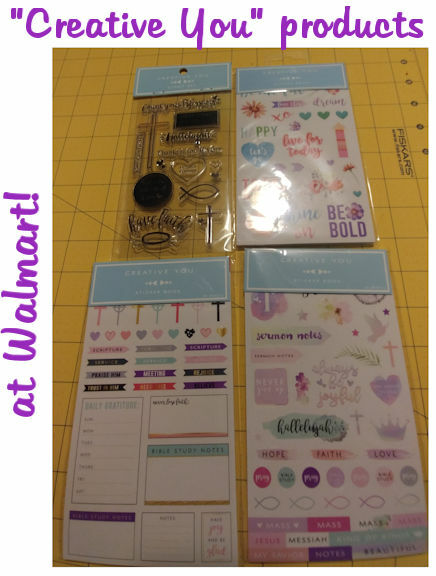 I’ve been telling my Facebook group that I would make a flip-through video of the new “Creative You” planner/journaling products available at Walmart. I finally did the video today! The price on this line is great! Each sticker pack I reviewed in the video below was less than $3. (I think the stamp set was around the same price, but don’t remember for sure). If you want to see just a close-up of the stickers and stamps with less chat, fast forward to the 19:25 mark.